Posts tagged "venice fl pressure cleaning company"
Welcome, to A-1 Pressure Washing & Roof Cleaning blog. We are a family owned & operated exterior cleaning company serving Venice, FL with professional pressure cleaning, roof cleaning, and paver sealing services since 1996. With this project we were working inside Plantation Gold & County Club located on Rockly Blvd, Venice FL. For this Homeowners Association in Venice we were hired by the propoerty management company to perform our safe no pressure roof cleaning service to restore their tile roofs without using abusive high pressure that can damage the tiles, as well as pressure clean the exterior of their homes, driveways and walkways. This is a repeat client, and as you can see from the photo below we were able to gently revive their tile roofs that are sure to shine for years to come, and are also backed by our industry leading 3 year mold free warranty. If you are looking to hire a professional, prompt, and reliable cleaning contractor to take exceptional care of your homes or businesses exteriors, then you don’t have to look any further. 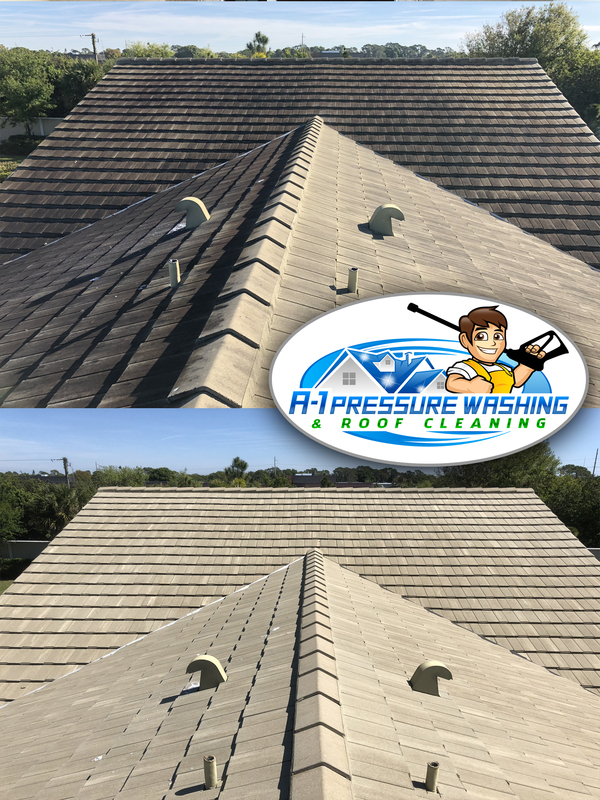 A-1 Pressure Washing & Roof Cleaning is a fully licensed and insured pressure cleaning contractor with over 22 years of exterior cleaning experience in Venice FL. If you would like a quote for pressure cleaning, roof cleaning, or paver sealing services for your home or business give me a call at 941-815-8454 or fill out my online form and submit your request to my email. Submit online form now!